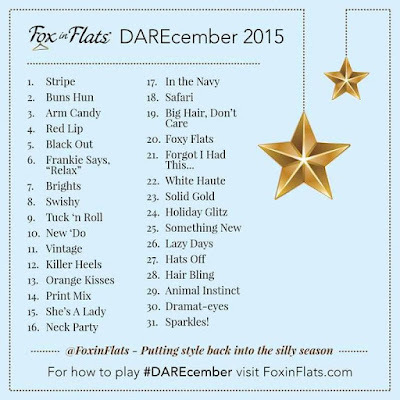 On to the last week of Darecember and what I wore for each challenge! Solid Gold- wearing my new Metallic Gold Sandals with a gold flecked skirt. 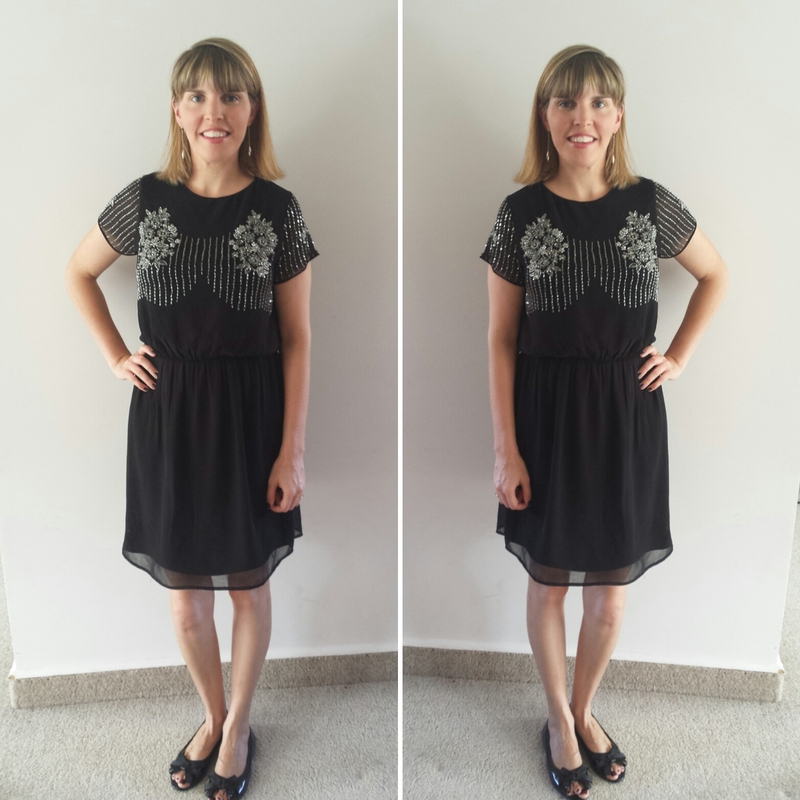 Holiday Glitz- this sparkly LBD is my go to glam outfit! Something New- a new dress for Christmas Day from Boohoo- it even came with the belt! 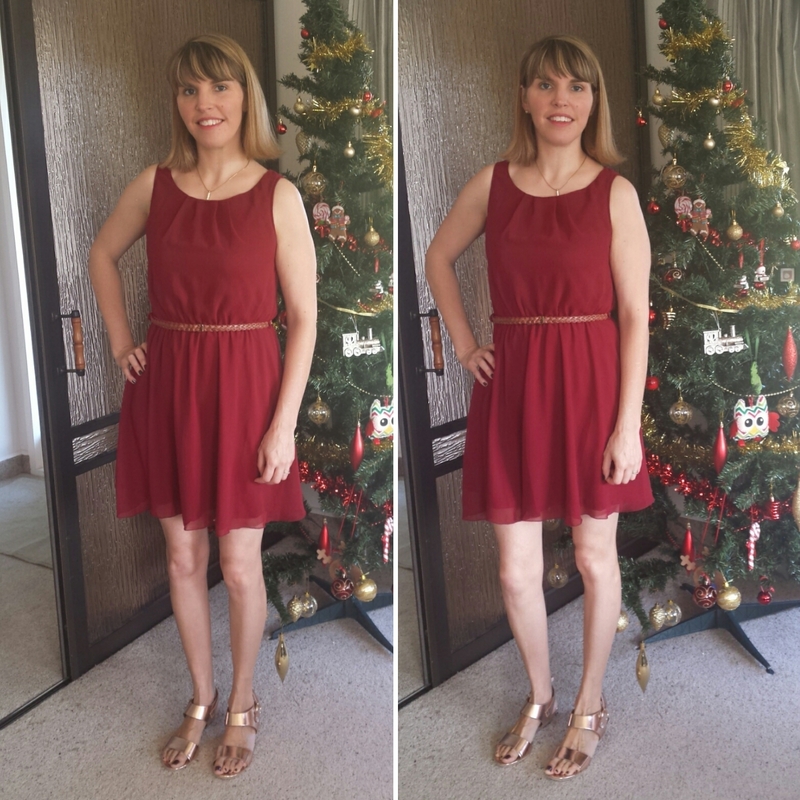 This dress comes in 9 different colors and I thought the berry colour was a perfect festive tone. Lazy Days call for picnics with tropical print dresses and some sunnies. Hair Bling- this was a gift from the talented Karen and works perfectly with lots of my clothes as I love mint and navy! 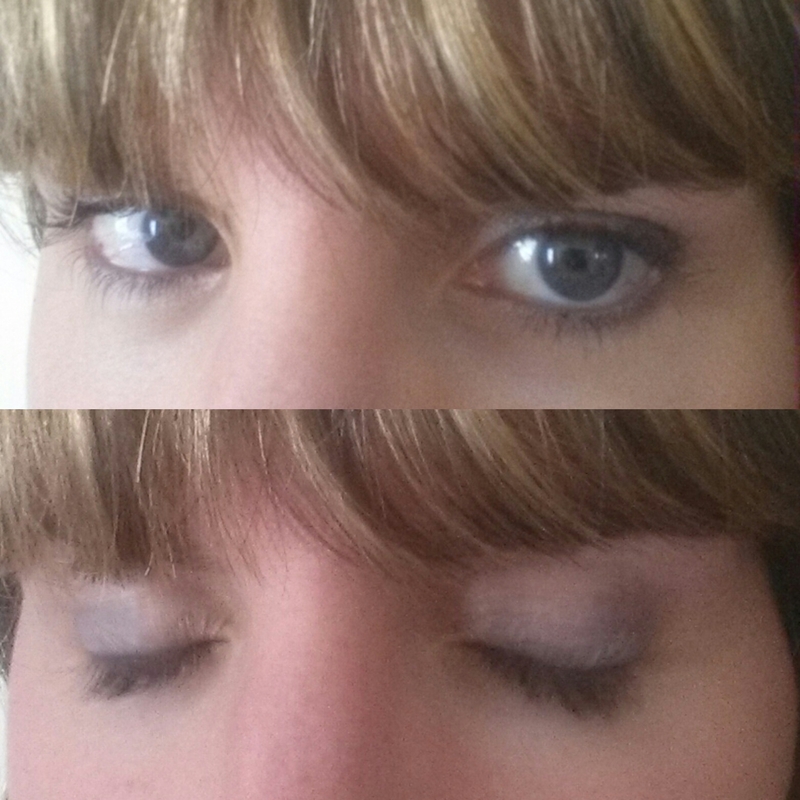 I tried to Dramat-eyes with a smokey navy eye. I don't have much time or talent for eyeshadow and hayfever also hindered my efforts, but at least I looked glam when I had visitors! Sparkles was the last challenge for Darecember 2015, and I had planned to take part but unfortunately was struck down with a tummy bug so spent NYE curled up in bed. I hope everyone has a wonderful 2016- I look forward to bringing you some more SAHM fashion posts this coming year as well as more pre-schooler activities, yummy recipes and some craft ideas.